Hence his innate passion for life stories and his firm belief that the greatest memories are created moment by moment. Gianni believes photography is the one form of artistic expression which, more than any other, allows you to capture a single moment and to restore it to the memories of those who lived it. The curiosity and sensitivity with which Gianni approaches life and every being he encounters, make him both a truthful and poetic narrator at the same time. 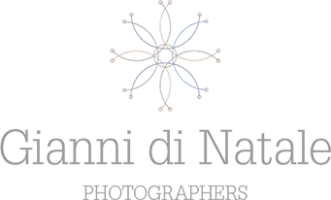 Gianni Di Natale Photographers was born from Gianni’s imagination and has been nourished by twenty years of experience in the wedding industry and, more particularly, the destination weddings sector. 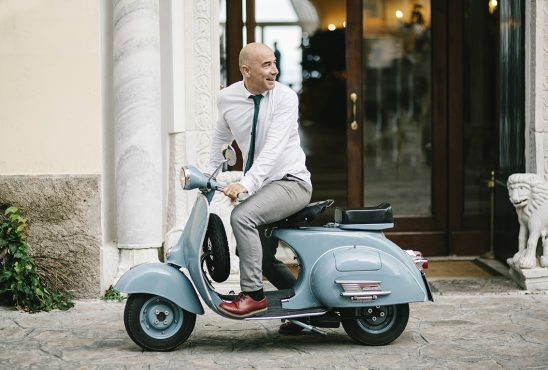 Those twenty years of experience allow Gianni to blend, with the greatest of serenity and ease, both the more emotional and more strictly practical aspects of such a complex event as a wedding. Gianni is also passionate about cooking, the mountain and the cinema. He enthusiastically follows the artistic exploits artistic experiences of directors of the caliber of Wim Wenders, Gabriele Salvatores and Paolo Sorrentino and admires their style and aesthetic tastes, as well as their remarkable narrative skills. And Gianni can’t live without music! Pink Floyd, Led Zeppelin and U2 are among the bands that reflect his taste in music, creating the perfect soundtrack from which to draw creative inspiration during his hours of research and post-production.